For many people, everyday activities such as using a telephone requires little thought or effort. However, for anybody with hearing difficulties, this can become a cumbersome task, as it can be a struggle to hear the person on the other end, or even hear the phone ringing at all. 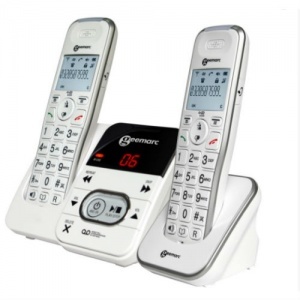 The Geemarc ClearSound CL10+ Amplified Corded Telephone provides an adjustable volume that is ideal for easing the stresses of telephone use for the hard of hearing. 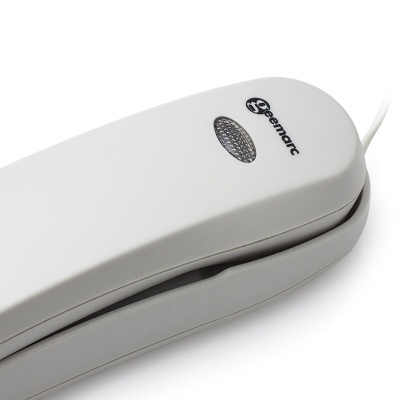 Boasting an adjustable receiver volume of up to 30dB, the ClearSound CL10+ Amplified Corded Telephone can be altered to suit the needs of the user. The tone control can also be adjusted, helping to ensure that conversations can be heard clearly and reducing the need for the listener to strain to hear conversations. This also eliminates the need for the person on the other end of the telephone to shout down the line to be heard, ensuring that important information is not misheard or missed completely. As the CL10+ offers hearing aid compatibility, it is suitable for the hard of hearing who rely on hearing aids to improve their hearing abilities. 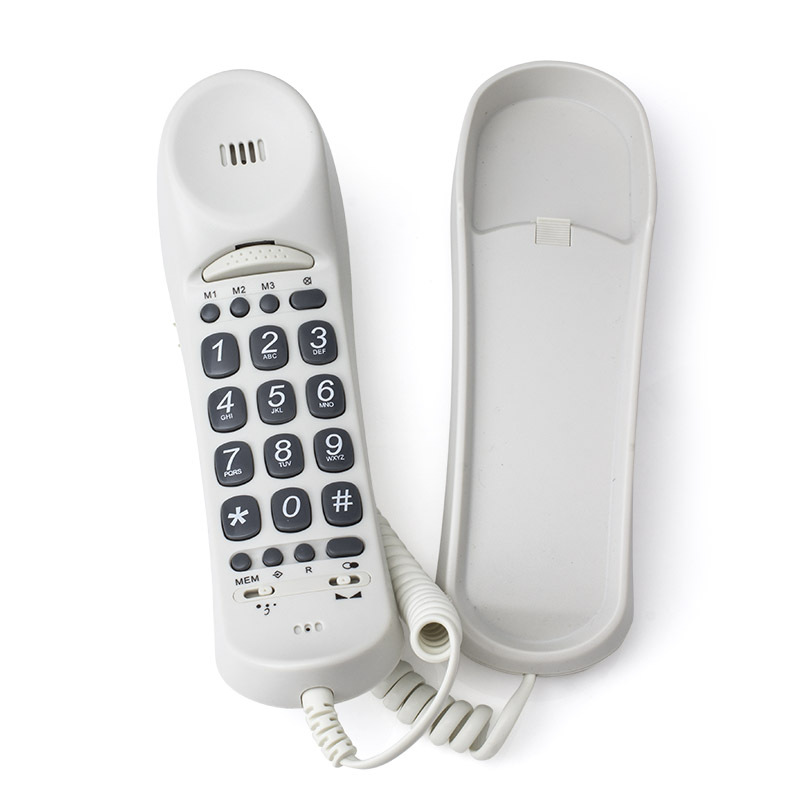 This means the Amplified Corded Telephone is a flexible option that will be ideal for multiple users in one household that require different levels of hearing support. The CL10+ Corded Telephone can be mounted to a wall, which means it will always be in one fixed place and therefore impossible to misplace. 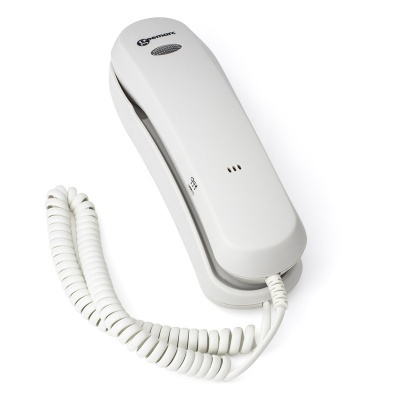 As the phone is corded, it also means that the receiver will not stray from the main base. This fixed positioning will be practical for anybody with memory issues, dementia, or a tendency to become confused or flustered when the phone rings. The addition of number storage provides easier dialling, with the ability to store up to thirteen numbers to the phone's memory. 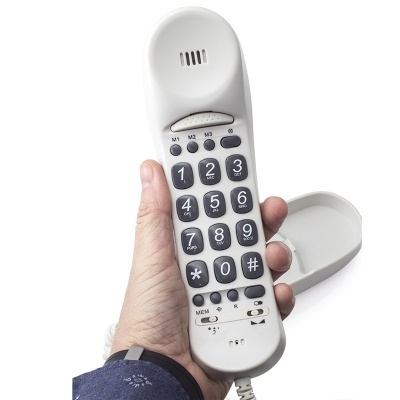 The big button keypad further makes dialling more convenient, with its larger buttons ideal for anybody with reduced dexterity or visual impairments. Excellent service and product can't be more pleased. Ordered this phone on Saturday delivered Tuesday excellent phone only sorry I didn't get it 2years ago does everything the advert says great. Company with excellent service will defiantly be ordering the answer phone soon will recommend to friends. Does everything it it says. Hangs on the wall by inverting the hanging clip. A read out would be good. Overall excellent for the money. Although reasonably priced this little telephone is excellent for hard of hearing. My only bug was I wish the cord had been longer but we simply bought an extension. Very good value for money.